You are here: Home » CLOSED | GIVEAWAY – Building the Machine Extended DVD is Here! CLOSED | GIVEAWAY – Building the Machine Extended DVD is Here! It’s here! The extended DVD for HSLDA’s movie on the Common Core, Building the Machine, is out at last! Back in April of last year, I sent out a charge to parents and educators worldwide to educate themselves about the Common Core. We want YOU to decide for yourselves where you stand on this important issue. Now that our Building the Machine documentary is out, my charge is still just as urgent as it was back in April! We need you, parents, educators, students, social media advocates, and education enthusiasts to share about and get others involved in learning more about the Common Core! I invite you, regardless of side, to watch the film and explore the issues for yourself. Let’s spark discussion on the Common Core! Most importantly, let’s work to spread the word about the Common Core. PLUS, are you a blogger? 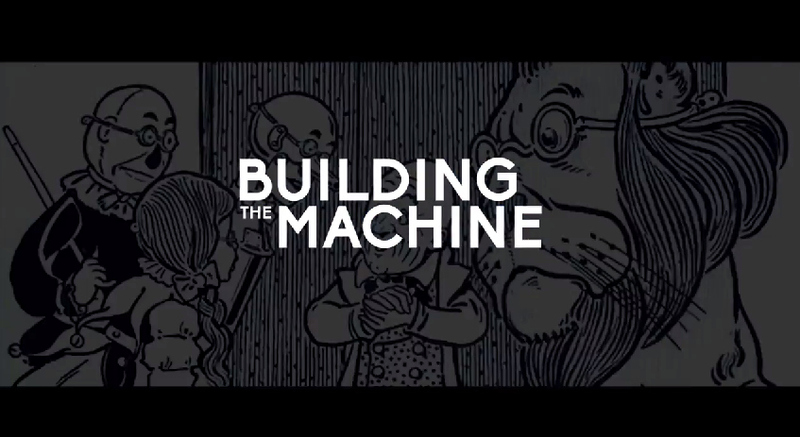 Want to receive two copies of the Building the Machine DVD for free? Email me at Charity@hslda.org if you’re interested! Building the Machine is a gripping half-hour documentary that tells the story about the Common Core, one of the biggest national reforms to be adopted behind closed doors. It introduces the public to the Common Core States Standards Initiative (CCSSI) and its effects on our children’s education. This DVD set (the original documentary, bonus parent interviews, and six supplementary episodes) tells the Common Core’s story in the words of leading educational experts, including members of the Common Core Validation Committee, along with parents, teachers, and a social worker. 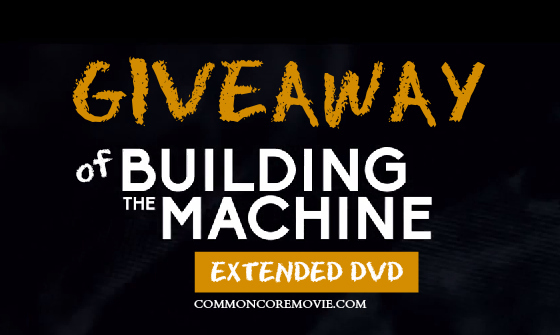 To spread the word further about the Common Core, we’re giving away a copy of the Building the Machine DVD. This DVD is sold in the HSLDA Store, along with other fantastic resources for you and your family! All you have to do to enter this giveaway is to leave a comment below (or email charity@hslda.org) with 1-2 reasons why you value your education, and the freedom to teach your children at home! Once you’ve commented, you can also choose from other optional steps below to gain more entries into the giveaway. These extra options will increase your chance of winning and further spread the word about the Common Core! But most importantly, I want you to watch the film and decide for yourself where you stand on these issues. The choice is up to you! Thank you to everyone who participated in our Building the Machine Extended DVD giveaway! It was great to hear about the different reasons why you value your education and the freedom to homeschool! Congratulations to Tiffany Fite for winning a copy of the Building the Machine DVD. If you haven’t already received an email from us, you should be getting one in the next few hours with all the details of your win. Even though this giveaway is over, we’d love for all of you to stick around a little and browse the HSLDA Blog! We’ve got lots of resources for homeschooling parents (and children) under our Teaching Tips, Everyday Homeschooling, and News columns. And too, there will be lots more giveaways in the not too distant future, so stay tuned!